The days of video as recorded images used only in an investigation are over. Real-time video is streamed to your smartphone for real-time alerts and notifications. 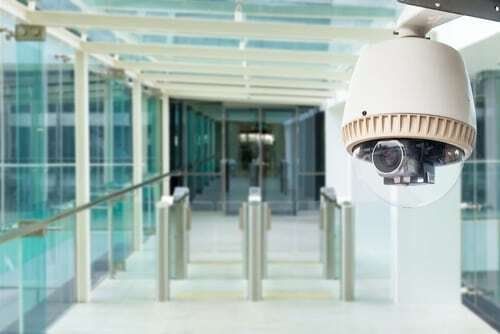 Networked IP cameras yield clear, crisp video for instant identification. Cameras with video analytics that interpret behavior, movement and other criteria provide actionable intelligence you can use for business and operations, boosting the bottom line. Security at entrances or sensitive areas, integrated with access control. In retail and hospitality locations for personnel training or management accountability. In manufacturing and logistics to keep products, processes and compliance at its highest levels. In healthcare for patient wandering or in emergency rooms. In multi-tenant buildings at entrances or in special delivery areas for after-hours drop offs or pick ups.